At the age of six, I convinced my mom that I wanted to become a Lutheran. We left our Southern Baptist heritage, and I became a Lutheran pastor. I met my wife on the campus of Concordia Theological Seminary, Fort Wayne, IN. She was there taking American Sign Language, and I was taking Summer Greek classes. We initially started just to create a stir, or so we told ourselves. People would be shocked to know that I am actually an introvert. When you think of an introvert, most people assume they are socially awkward. However, the reality is that we just need to recharge our batteries away from the crowds. We can function quite normally in society. I once stood in line for an hour to see the first Star Wars movie. Growing up I did not like writing. As a matter of fact, I nearly did not pass English. What turned my English life around was one teacher in ninth grade that I had a crush on. She got my attention and wanting to impress her, went from D-student to and A-student in High school. I later found out she was dating a football player at the college. At the Seminary. I nearly quit. It was not fun, and I felt this was not the career for me. I gave God an ultimatum. “If you want me to be a pastor you need to send me a sign.” Never challenge God. About two days later I received word that I was one of two students that had been selected by a congregation in Decatur, Il to get a $10,000 scholarship to cover my Seminary tuition. How do you ignore that sign? 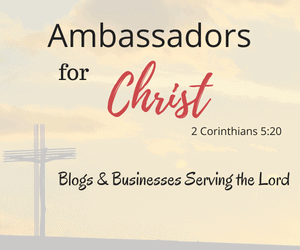 I started blogging because I watched a Webinar and God placed the call on my heart to do this. I had no idea why. I didn’t know if what I would write would be received or ever read. Every week the people who read my blog, remind me why God gave me this work to do and just how blessed I am to be a blessing to others. All you have to do is share seven things about people do not know. Then nominate up 15 others bloggers you like. Include my blog in the thank you and you are good. Congrats you deserve it. I’ve been reading the other blogs and just ran up on my blog in your list. Wowza! I appreciate your nomination Keith. It is quite an honor you have given me. However, I have to decline. I’ve always been an award free blog. Your nomination means very much to me. I’m blessed to have you as a friend. Not a problem. I do hope my readers check out your blog. It is very entertaining. Blessings. Thank you Keith! I appreciate your understanding! So please to learn more about you!! Lovely post!